With the current market filled with ‘90s-inspired streetwear, it seems like a pretty suitable time for the Three Stripes to introduce an entirely new concept for the year ahead. As the name suggests, the women’s exclusive takes its inspiration from adidas’ archival taekwondo shoes, and is a remastered iteration of the YY MEI created by Y-3 collaborator Yohi Yamamoto back in 2002. Arriving in black and inverted white colourways, the understated shoe features a slip-on construction for easy on and off, while a unique three-stripe elastic band fastens over the forefoot to lock in the foot for supportive comfort. The midfoot – which features the split midsole of the YY MEI – sits below soft canvas uppers, designed in a women’s specific narrow fit. Signing the silhouette off in style, metallic “adidas Taekwondo” detailing sits on the heel and a single-piece gum outsole features on the underside to provide traction. 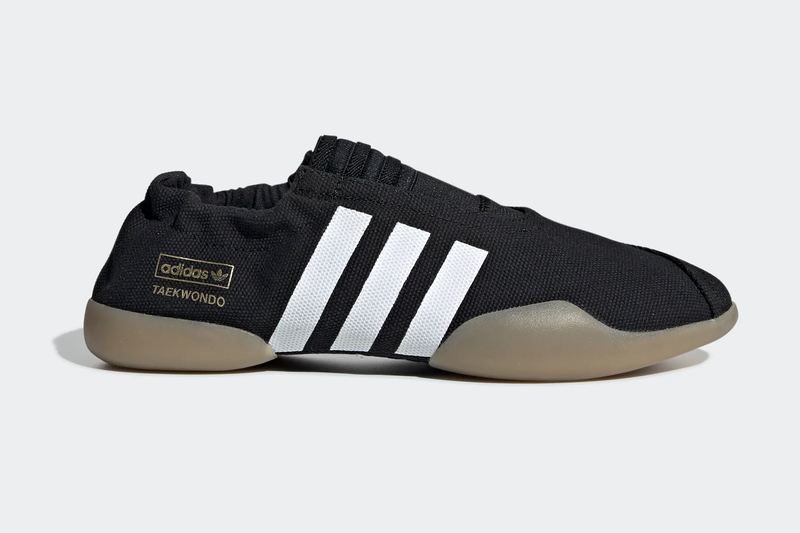 adidas Originals’ Taekwondo will be available via the size? website and in size? stores on Thursday 7th February priced at £110, available in sizes 2.5-9.